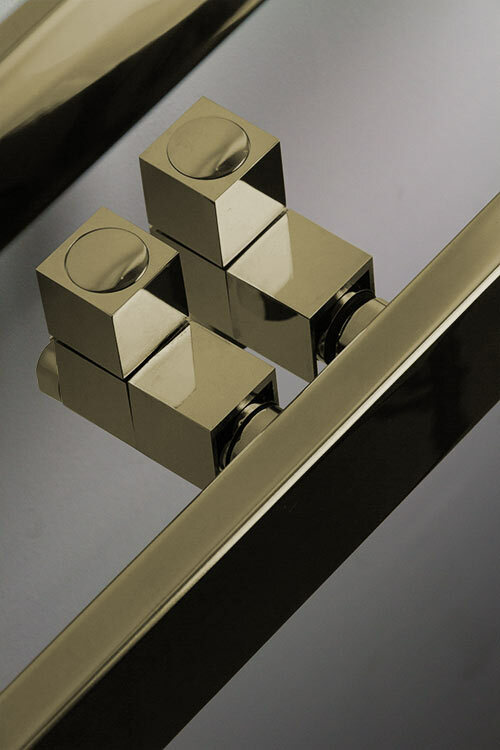 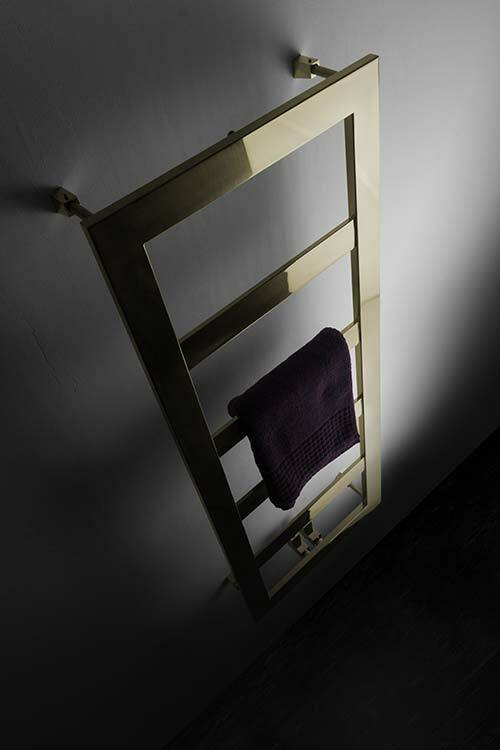 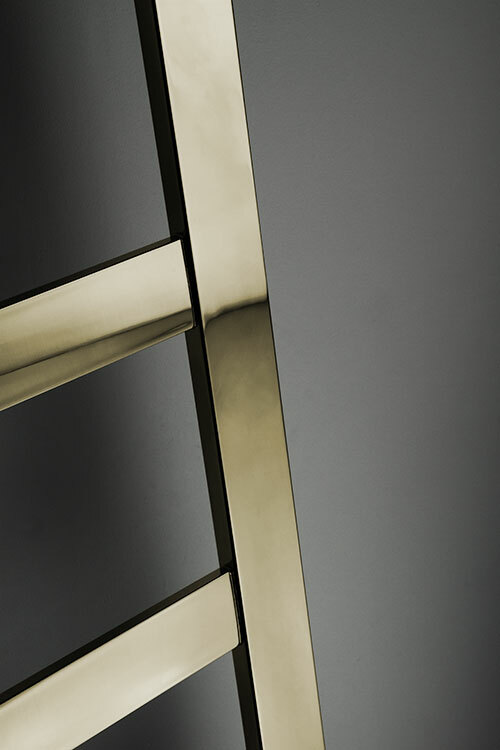 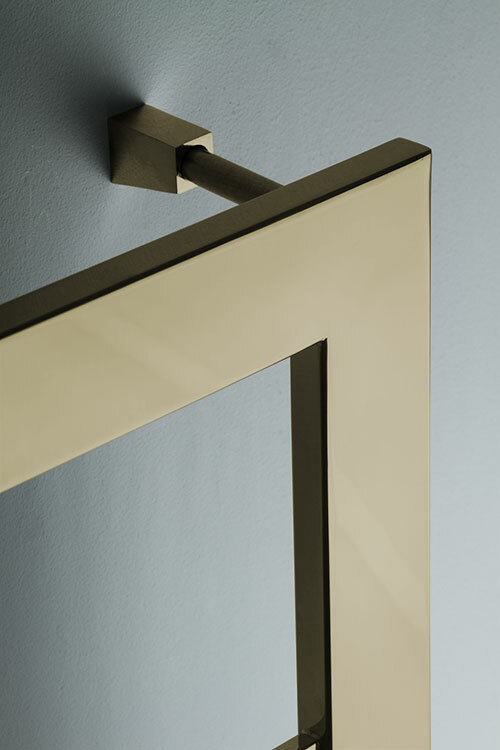 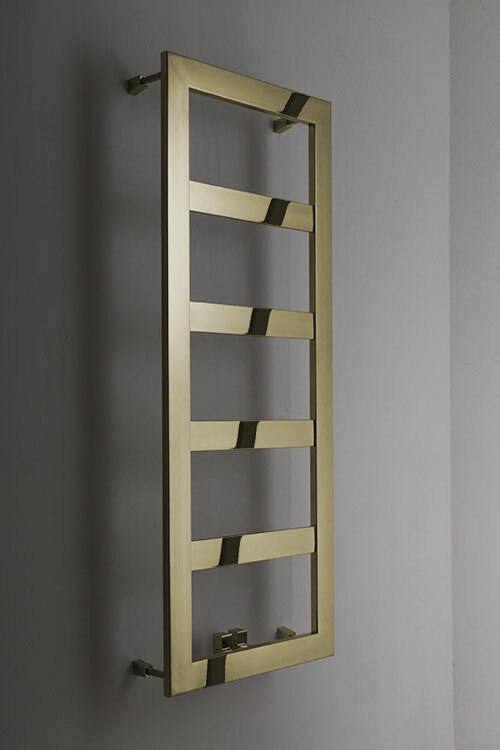 Available in brushed or polished brass finish, this modern towel rail's rectangular styling is ideal for modern bathroom themes. 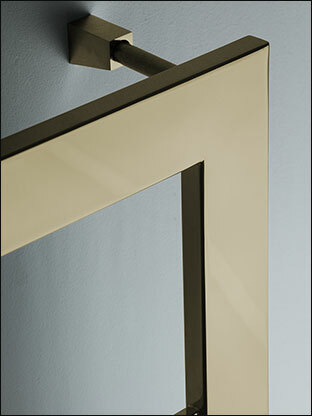 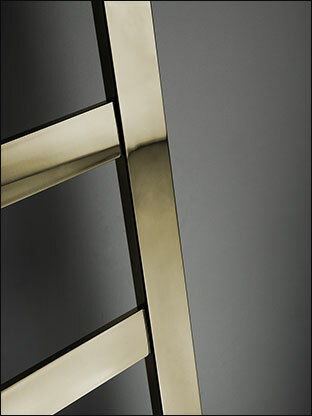 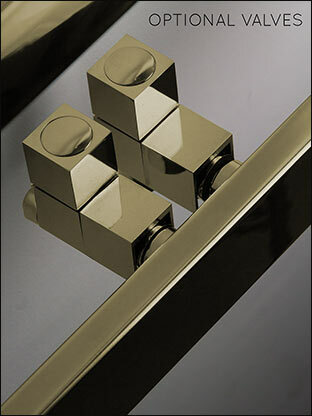 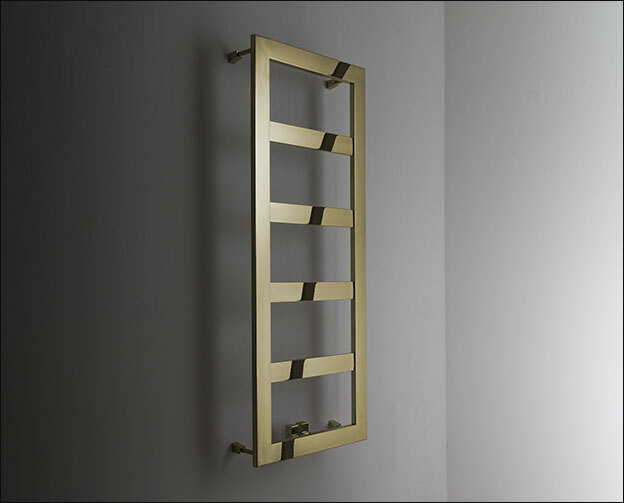 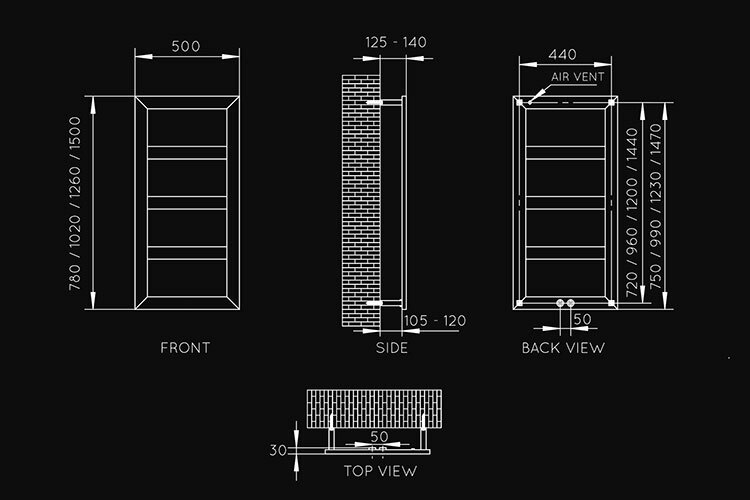 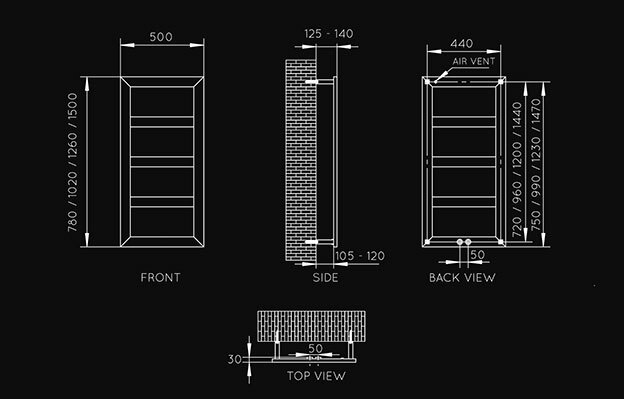 Matching cubic valves are also available to complement this brass towel radiator design. 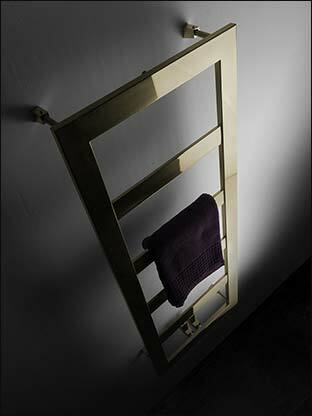 • Made to special order - 3-4 weeks.